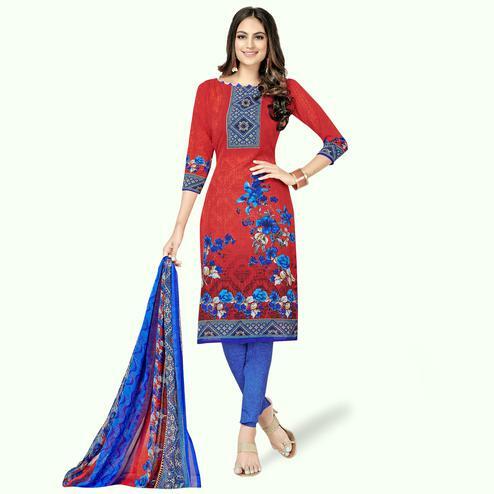 Get this red - grey salwar suit before it goes out of stock. 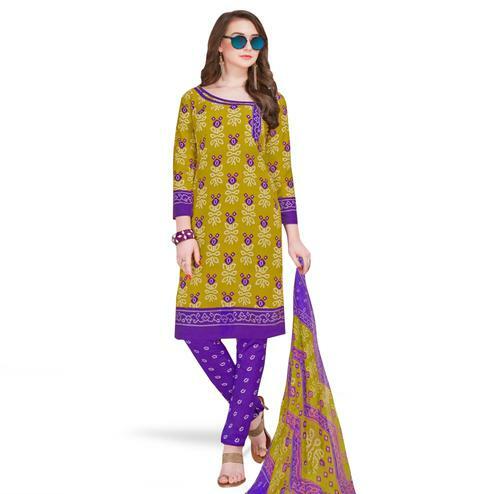 Featuring decorative design printed kameez, solid color bottom & printed chiffon dupatta. 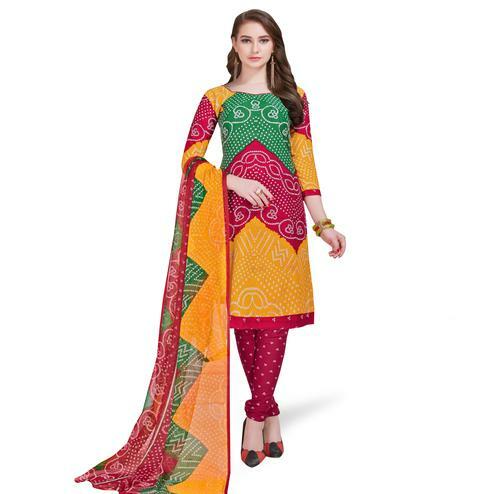 Made from cotton fabric, this suit assures a great comfort to the wearer. Once stitched you can wear it for casual & regular purpose.